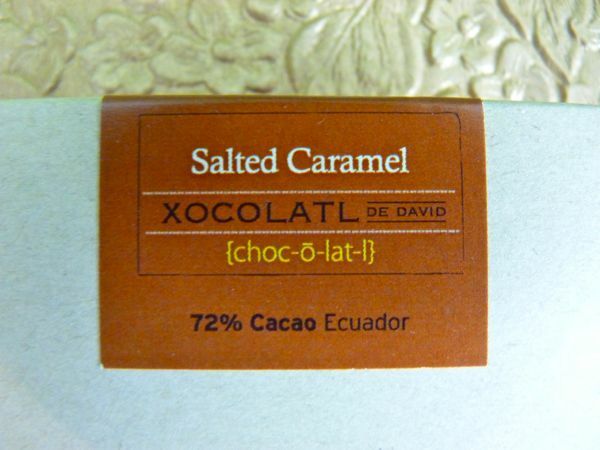 This slim, dark chocolate (72% cacao from Ecuador) Salted Caramel bar from Xocolatl de David (Portland, OR) had a thin layer of caramel artfully applied in the middle. 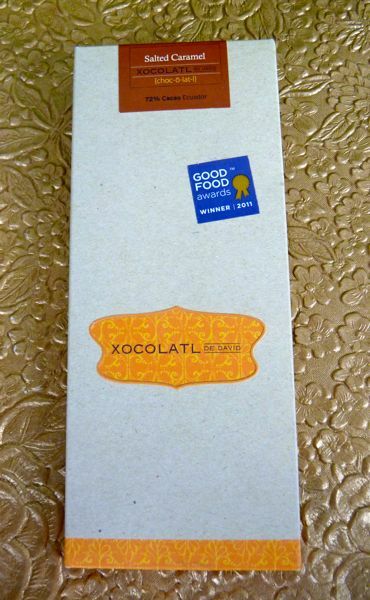 The different sweet-salt and cacao flavors were balanced. 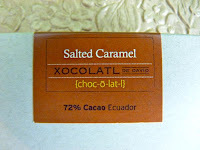 Today was Day #7 of Chocolate and Salt Theme Week.